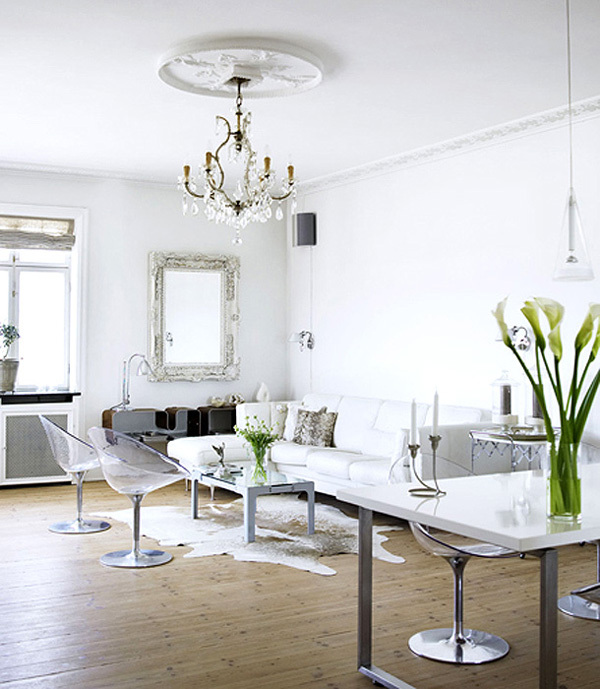 White interior designs can be difficult to maintain but they look stylish and beautiful. The bright accents and patterns, furniture items or little details make the stark white shine while drawing attention to themselves. 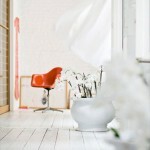 The look of a pure white interior is simply mesmerizing. It’s blank as a paper sheet and yet there is texture to it in furniture and fabrics. 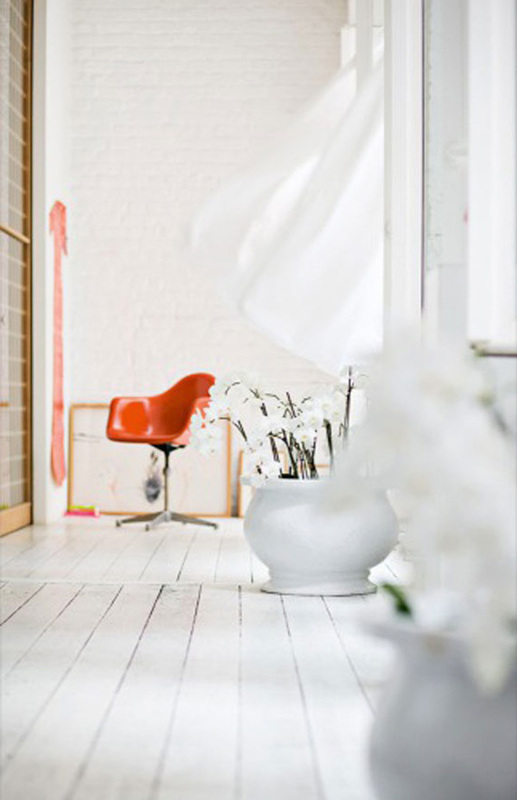 In a purely white decor anything could happen. A bright throw pillow or vase of flowers can suddenly create a spot that immediately catches the eye. 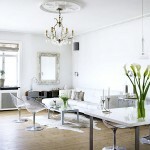 Of course, that also makes a white design high-maintenance but the magic still stays. 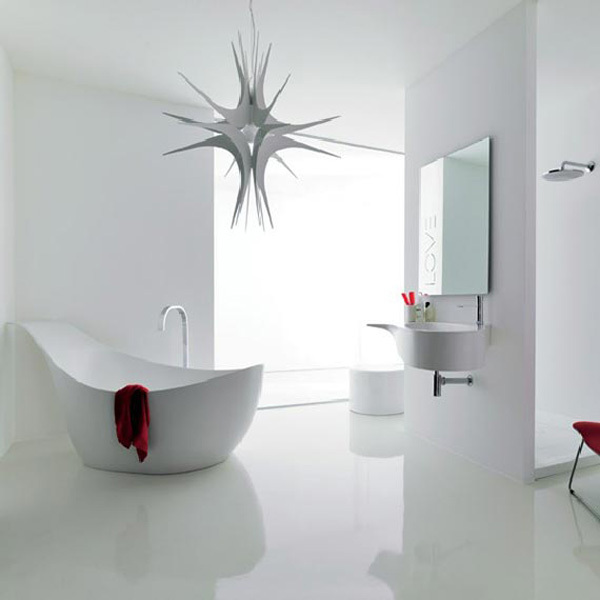 While it can be difficult to maintain the white interior design can be very stylish and beautiful. The furniture structure and drapery create a white on white layer of detailing that draws the attention and fills in the blank canvas which is the room itself. It is a great way of adding detail to white decor but then there are brights and pastels like beige and ivory, pink and apricot that can also add a contrasting accent to white interior design. A classic combination of black and white always makes for a stylish interior design. The sharp contrast makes some details really pop and stand out.